We spend a good part – perhaps the majority – of our waking hours at work: shared purpose, shared cubicles, shared snack room. The people we work with become a second family. For some people they may actually serve as a family. Most of the friendships we make last only for the time we’re in the same building. Other friendships may carry over to weekends or vacations. Some few become long-term, deeply important friendships. James Tyree, the chief executive of Mesirow Financial in Chicago, was seriously ill with stomach cancer. Still, his death, due to improper removal of a catheter during a routine procedure, was accidental and unexpected. Two days later, Richard Price was named CEO. Tyree wasn’t only his boss; he was his best friend. So here was a man, in shock from the news of his best friend’s death, consoling others who worked with him, too. Here was a man who not only had to come back to work, but step into his friend’s job. 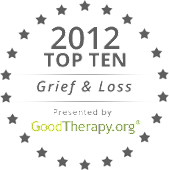 Here, too, was a man who not only continues to ensure employees who need grief counseling receive it, but who gets it for himself, too. Many of us welcome work as a diversion for our grief. But few of us are as lucky as James Tyree’s friends, to work in a place where their grief is respected, and support is readily available. They’re lucky not just for knowing James Tyree, but for knowing his best friend as well.